As the Overwatch Anniversary skins and emotes trickle out, fans are getting hyped over a few specific ones. Moira’s new dance emote and Symmetra’s magician skin are sending the fandom into a whirlwind of jokes and fanart. Moira’s dance emote was leaked over the weekend. Whether or not it’s real, Overwatch fans find the idea of Moira dancing like a kid in a goth club to be particularly amusing. 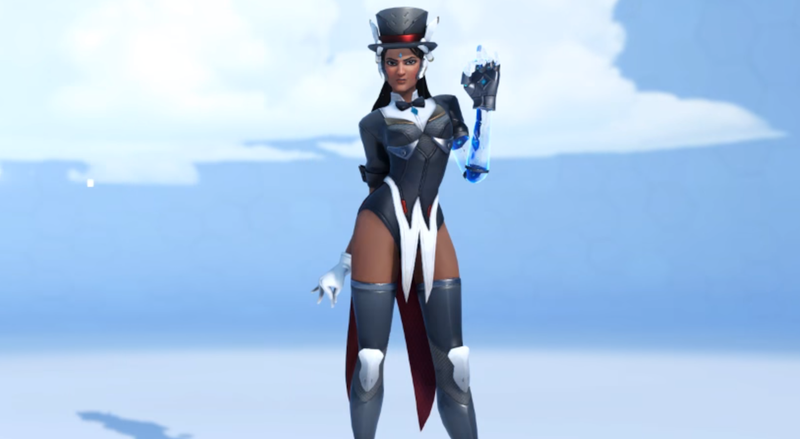 Symmetra’s magician skin was officially revealed today, and it’s just as awesome as the fandom thought it would be.